Every man has a property in his own person: this no body has any right to but himself. The labour of his body, and the work of his hands, we may say, are properly his. 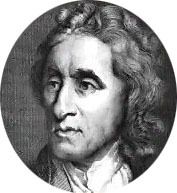 John Locke, "The Second Treatise On Civil Government"
Man survives by reason, and in order to do so, he must be free from the initiation of force. Society can be greatly beneficial to the individual because of mutual protection, division of labor, and economies of scale. But it is only beneficial to the extent that the individual is still free to act and survive according to his own reason. Individual rights state explicitly the requirements for a person to benefit rather than suffer from living in a society. They codify man's protection from the initiation of force, as required by his rational nature. Being required by man's rational nature, rights are not arbitrary or negotiable. They are absolute requirements for life within a society. Rights are absolute. The opposite to the right to life is life as a slave, where someone or some people essentially own you -- they can dictate what you do, when you do it, and take your life if they please. It should be noted that rights are guarantees to freedom of actions. They do not provide for anything but freedom of action. There is no right to food, for example; only the right to work and keep the proceeds with which you may buy food. The right to liberty is a part of the right to life, specifically referring to your freedom of action. You may do what you want, when you want, provided you don't trample on the rights of anyone else. This is a necessity for man's life because man's means of survival is reason. Survival by reason requires that you are able to act upon your reason otherwise your reason is of no avail. You can only act on your reason if you are free from the coercion of others. If society were to permit some actions and not others, it would be permitting some reason and not other reason. It would be effectively destroying individual reason by making reason second place to some other standard. When a society prevents its citizens from the initiation of force, however, it is not circumventing reason, because there is never a reason for the initiation of force. Property rights are an extension to the right to life. In order to support yourself through reason and stay alive, you must be able to own and use the product of your labor. If the tools of your survival are subject to random confiscation, then your life is subject to random destruction. The right to the pursuit of happiness is freedom of action. To live, man must achieve values. To achieve values, man must be free to think and act. The right to the pursuit of happiness means a man is free to do anything he pleases, as long as it doesn't conflict with the rights of others. Since man must use his own mind to live, he must be able to choose his values and act towards them. Even acts which are destructive to himself must be allowed, or a man cannot live by his own mind. Ultimately, man must be free to pursue his own goals and happiness. The right to free speech is a recognition that speech in itself if devoid of physical threats is not an initiation of force and does not warrant any retaliatory force. Many dictatorships and People's States will outlaw certain types of speech as being dangerous or inflammatory or against the will of the people, but this censorship is just an evasion of reality - hoping that if a problem is ignored it will go away. Freedom of speech is required for liberty because without the freedom of speech, you can not persuade others of what is right and what is wrong. Without the freedom to persuade others, only force can make people act in a particular way. It is an important check on government because it allows transgressions to be identified and fixed rather than hidden and perpetuated. The right to defend yourself is a corollary to the right to life. You must be able to protect what is yours when it is threatened. If you are being attacked the situation leaves the realm of morality - it leaves the realm of the everyday and becomes an emergency. In such an emergency, anything goes. That is the choice that your attacker has made, and he must live with his choice. The government must maintain the right to bear arms so that self defense will be possible.